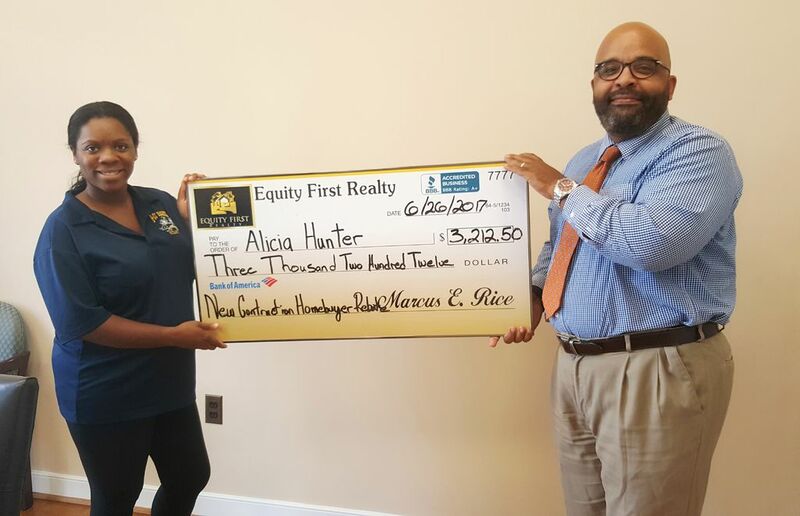 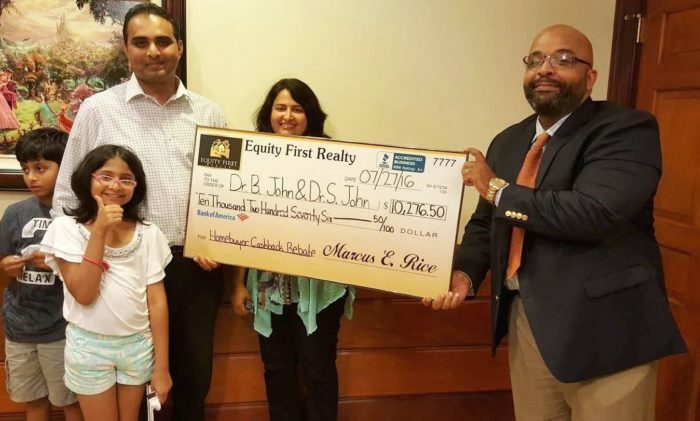 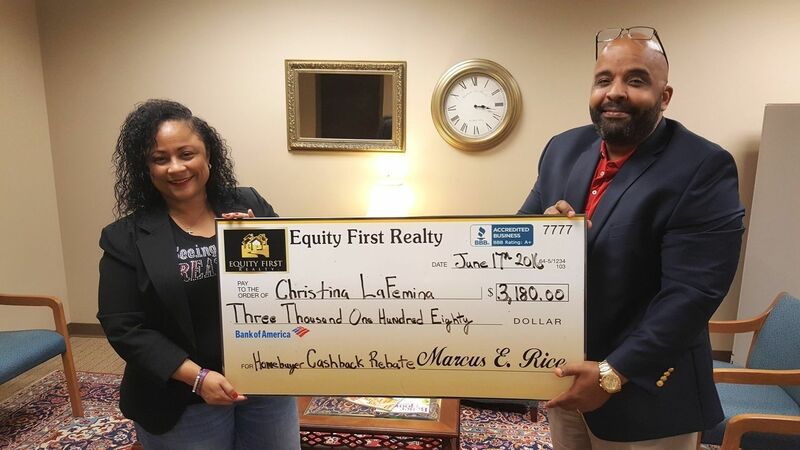 If you’re looking to buy a home in Virginia, working with one of Equity First Realty’s® full-service agents and skilled negotiator with over a decade of real estate experience costs you nothing. 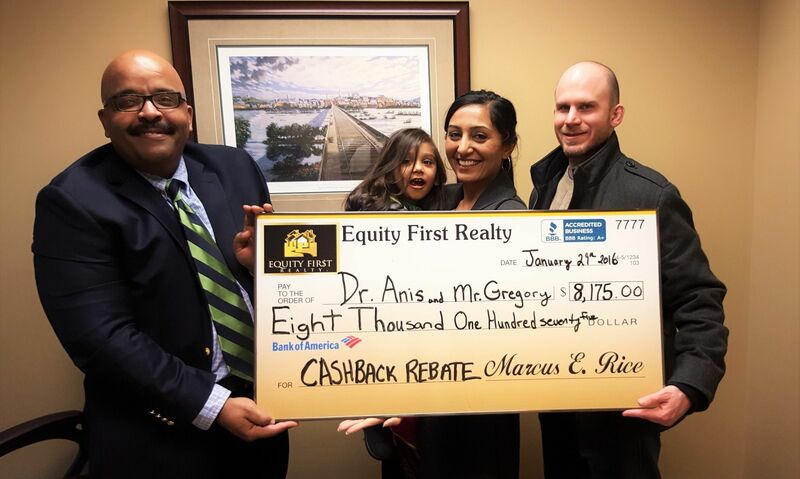 In fact, YOU get paid to work with our real estate team! 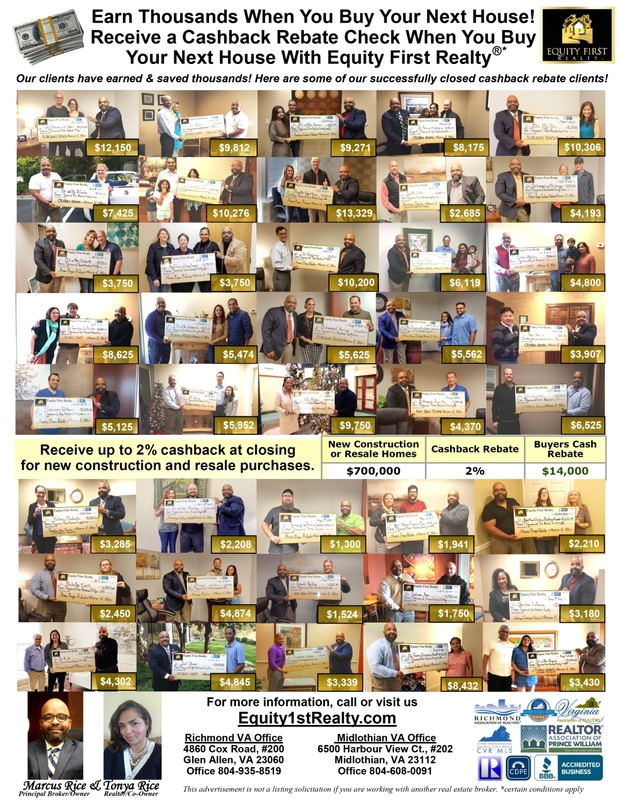 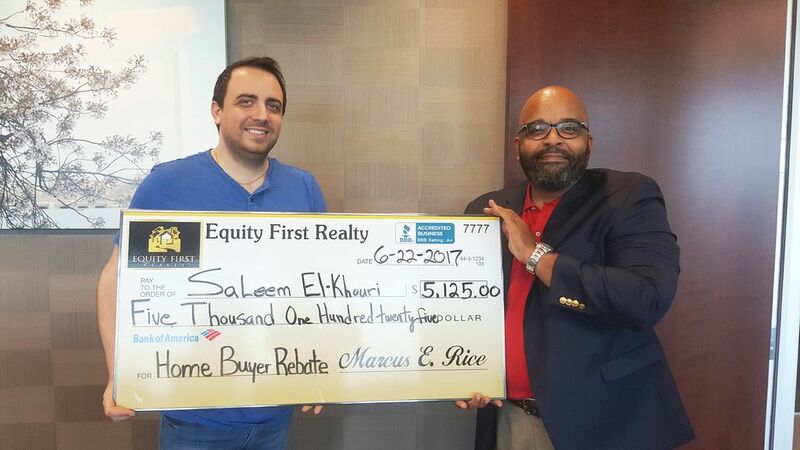 At settlement, you will receive a rebate of 50% or more of my agent commission which usually equals 1.5% of the net purchase price in most cases. 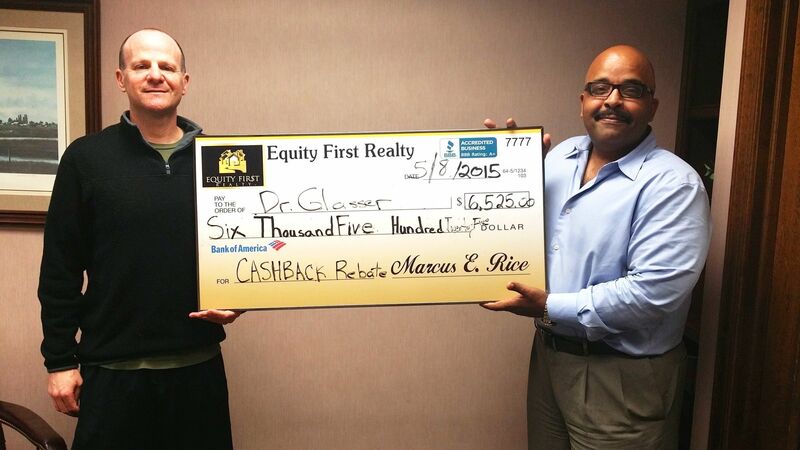 For example, if you purchase a $500,000 home, receive $7,500 at settlement towards your closing costs. 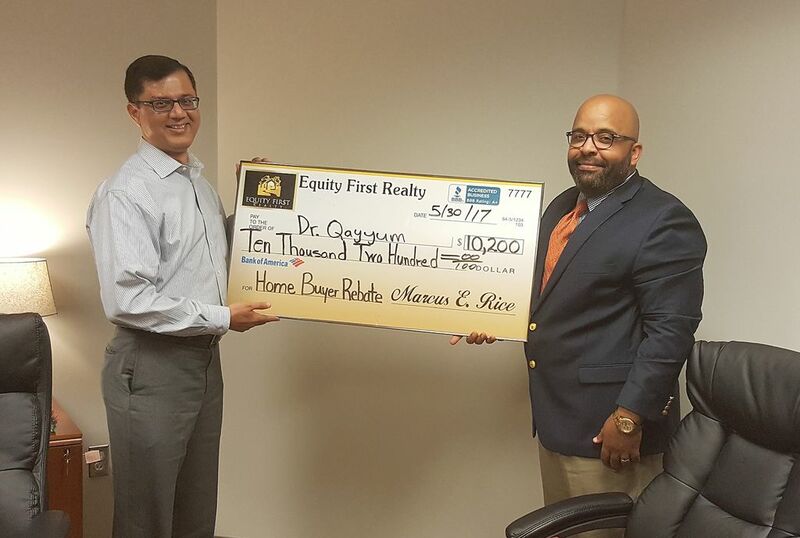 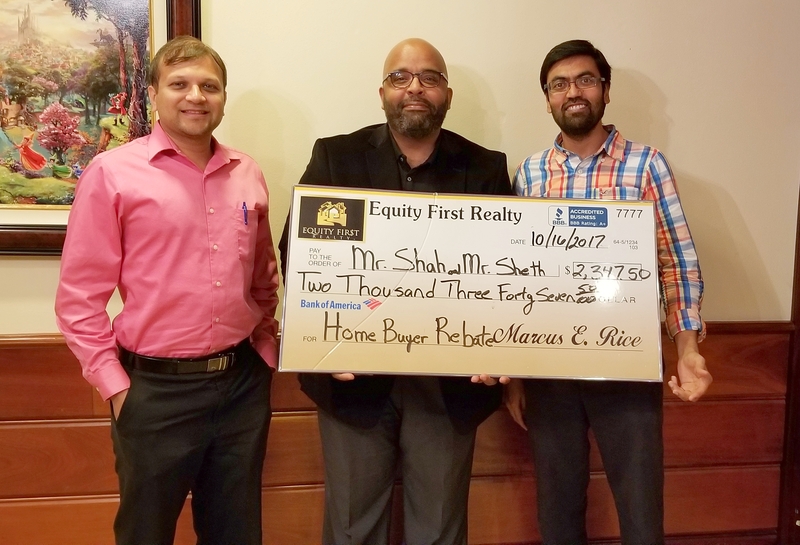 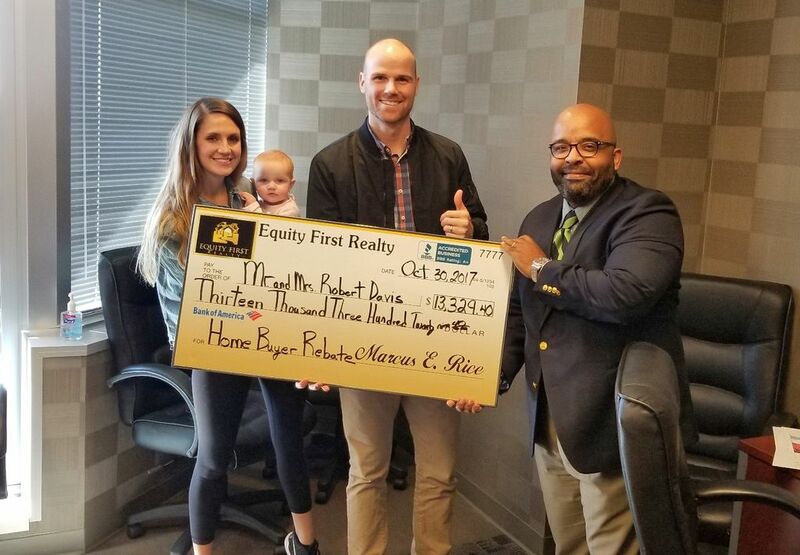 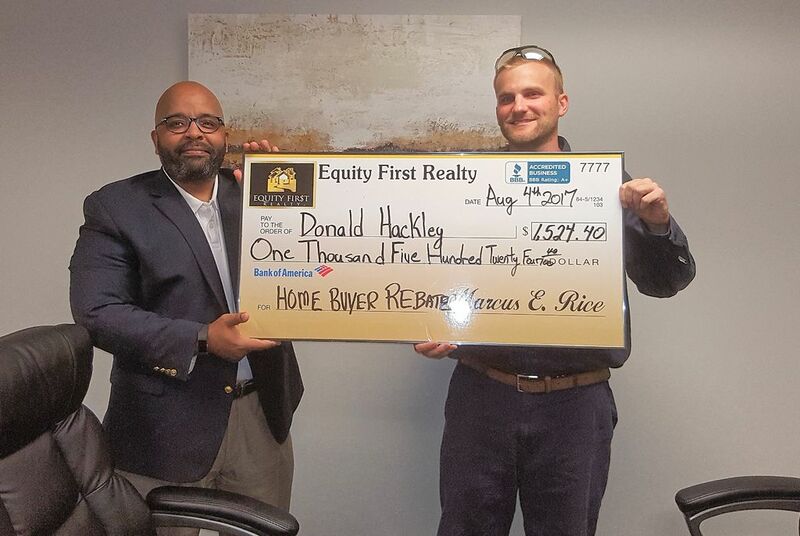 Whether you are looking to purchase new construction(up to 1.5% Rebate) or existing home in Virginia, let Equity First Realty® provide you with professional, friendly and efficient service that makes the home buying experience as enjoyable and seamless as possible. 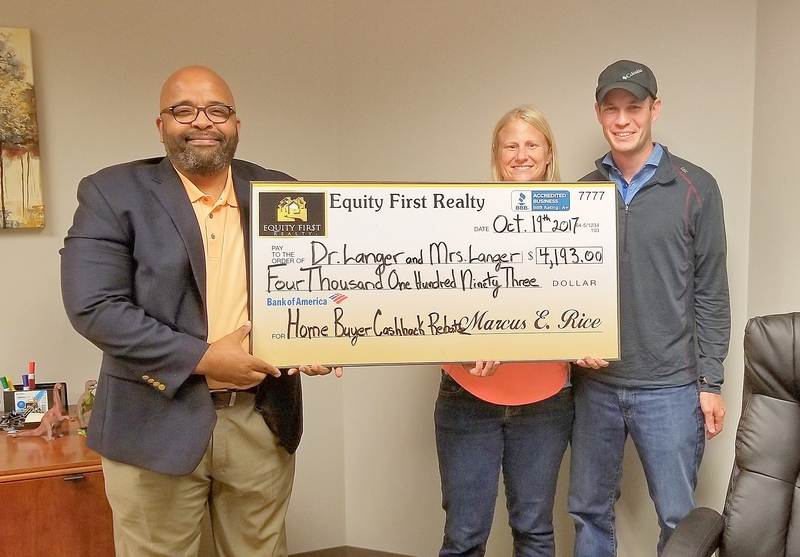 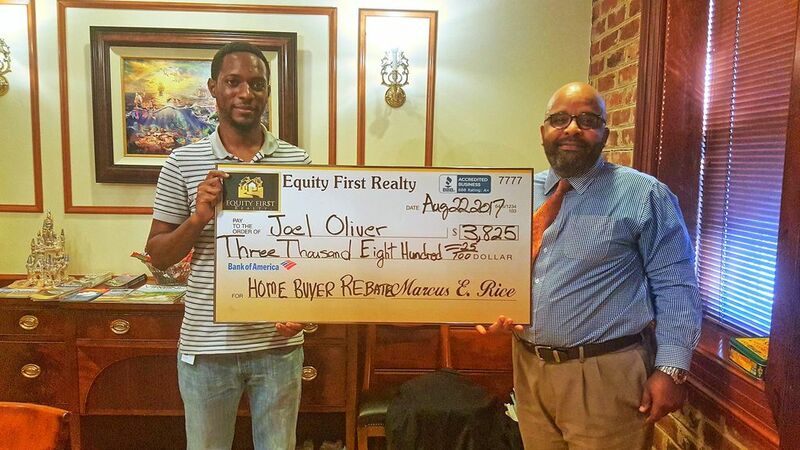 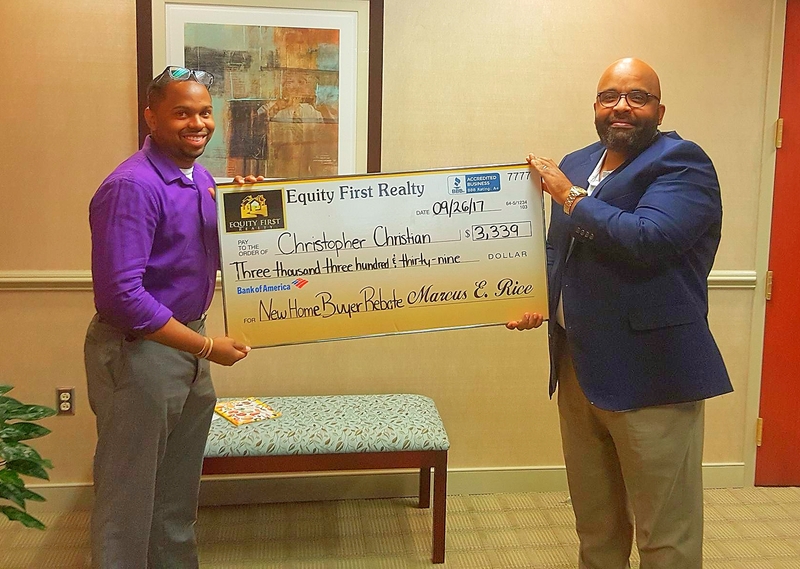 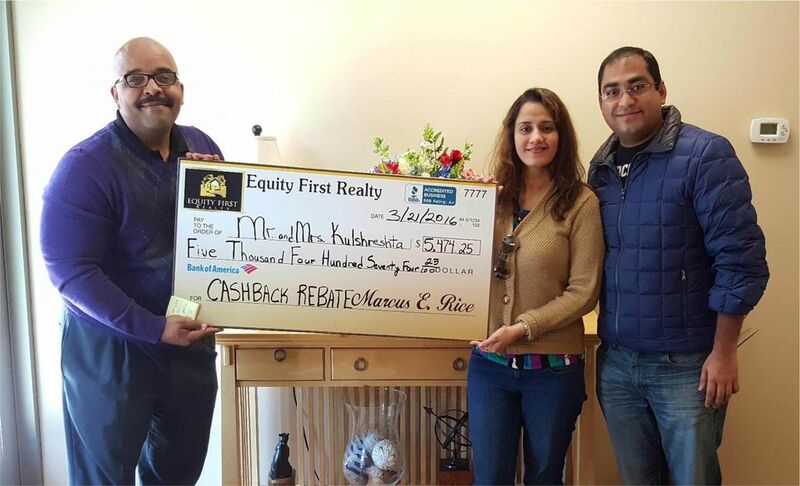 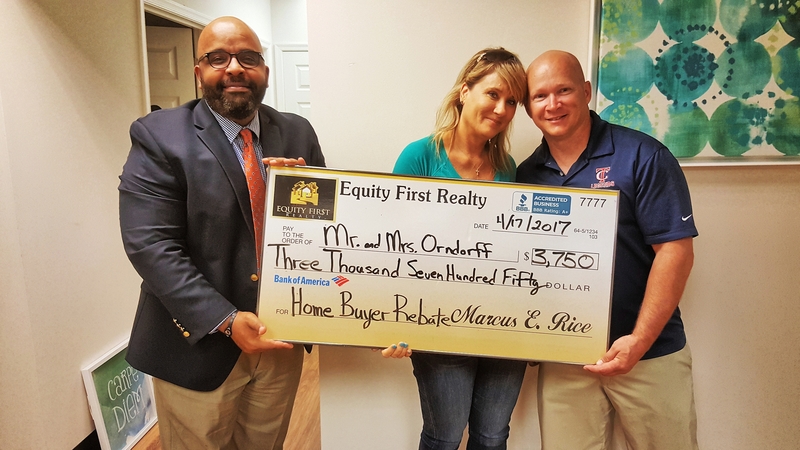 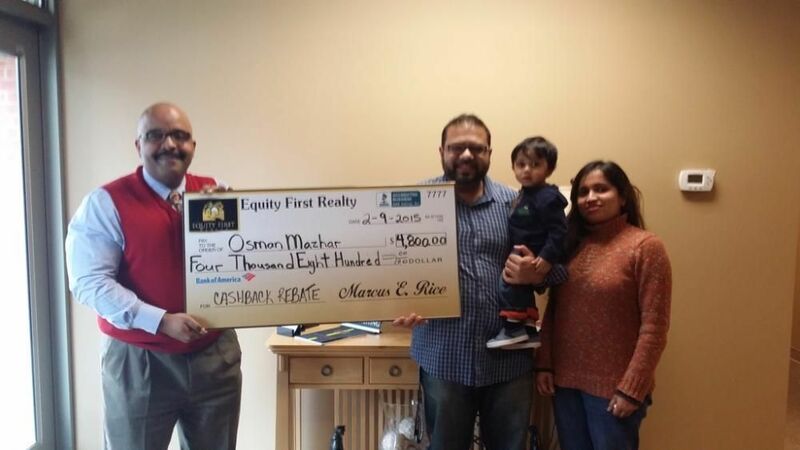 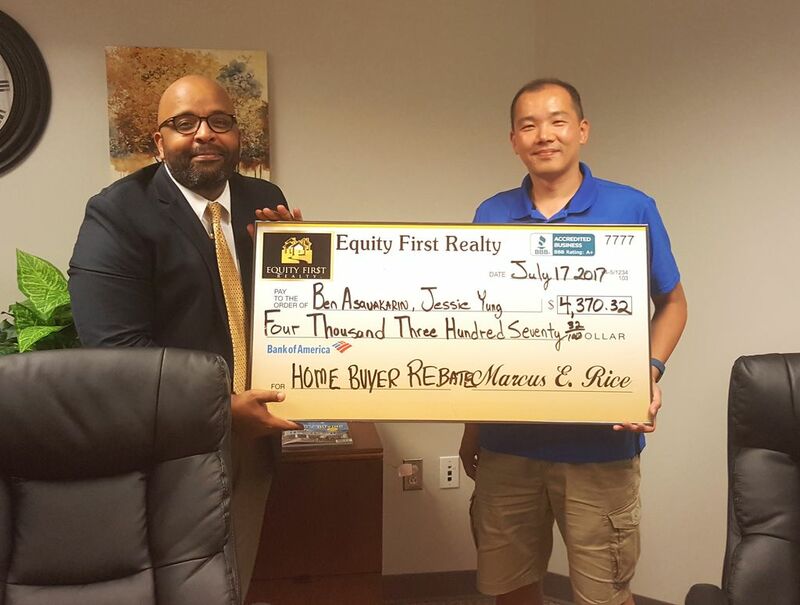 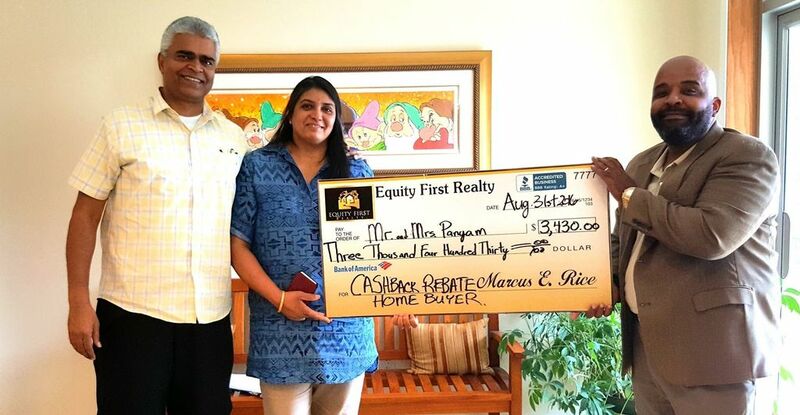 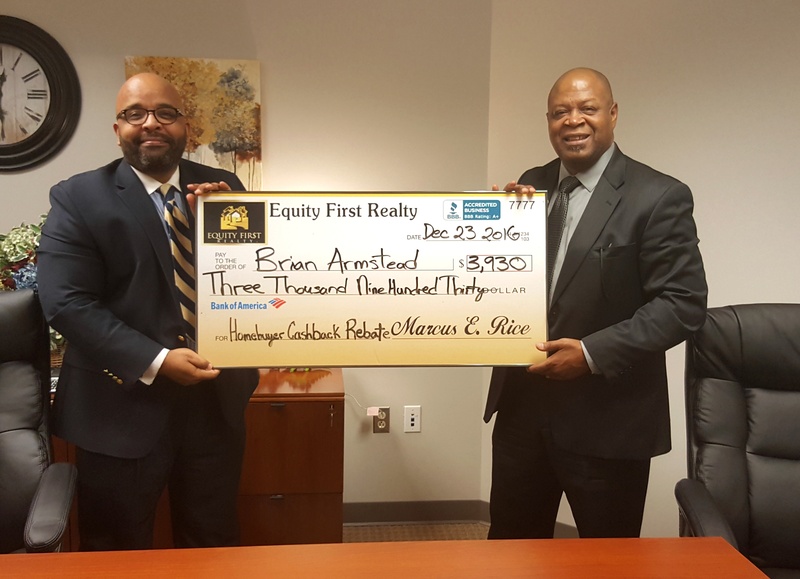 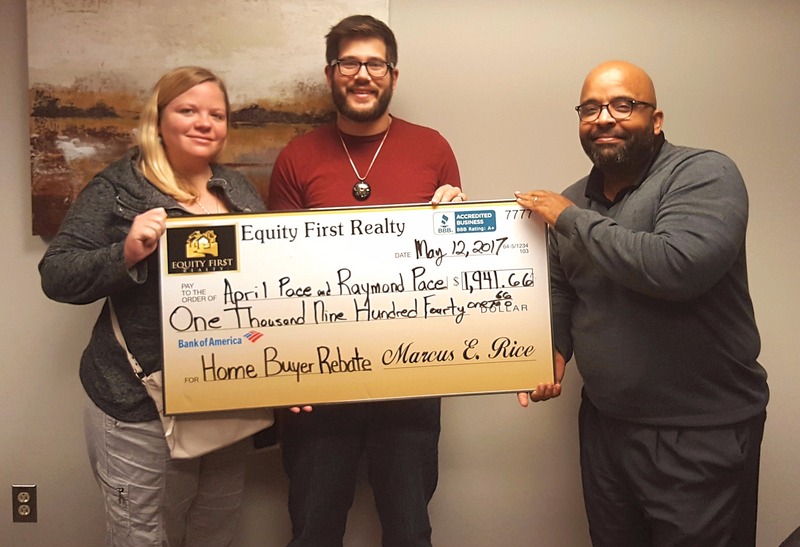 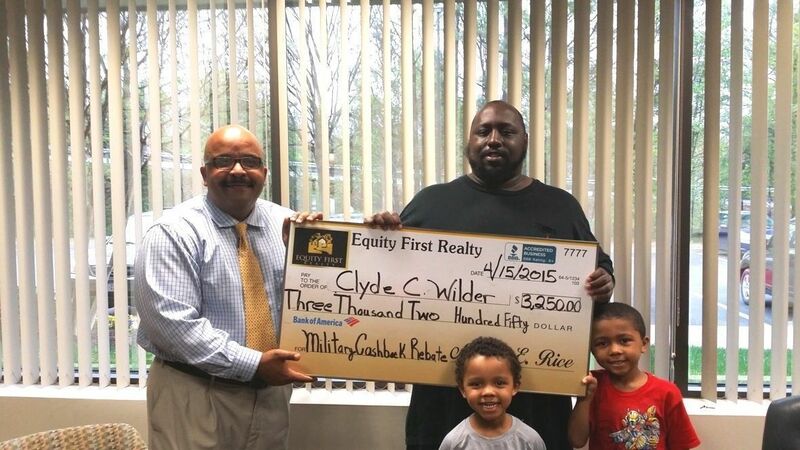 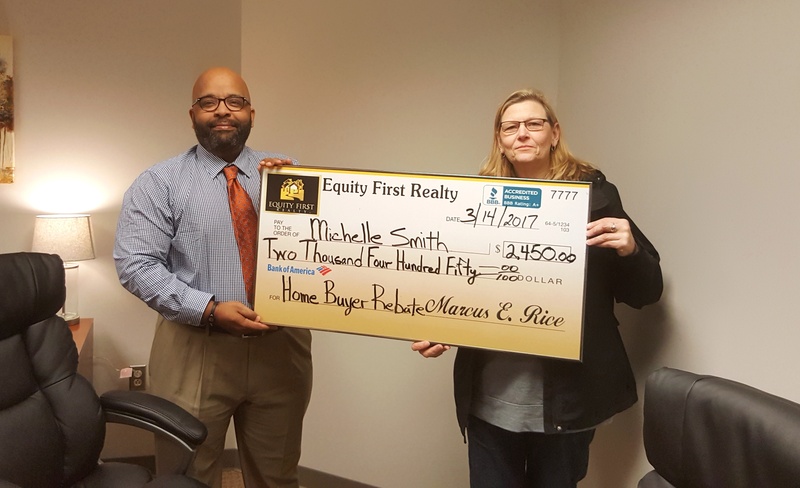 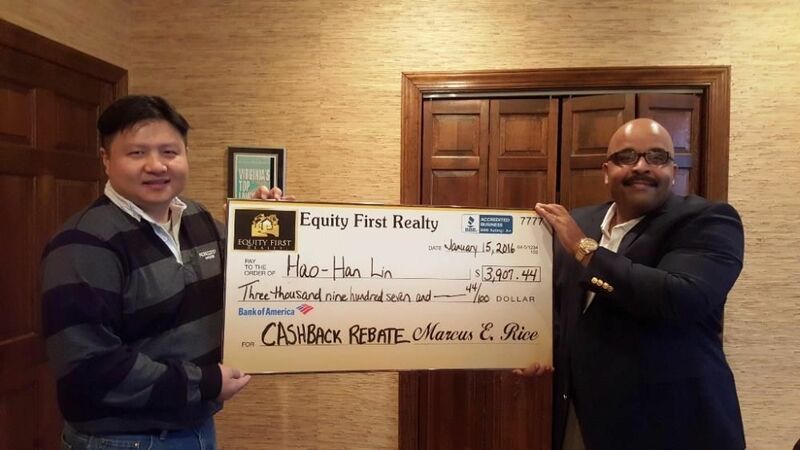 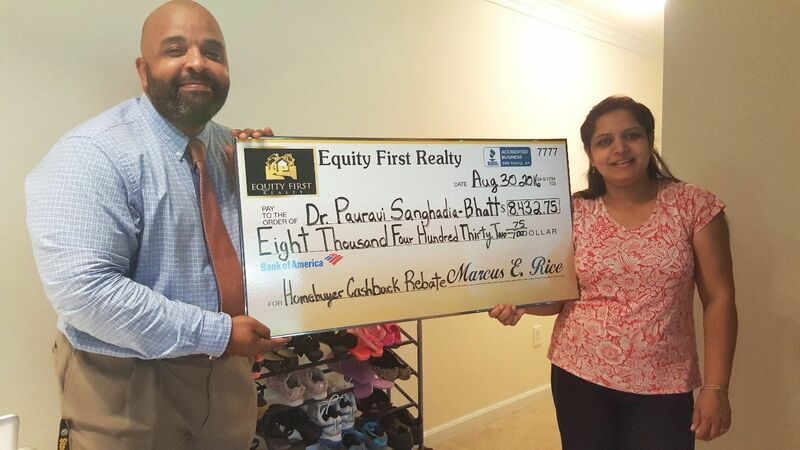 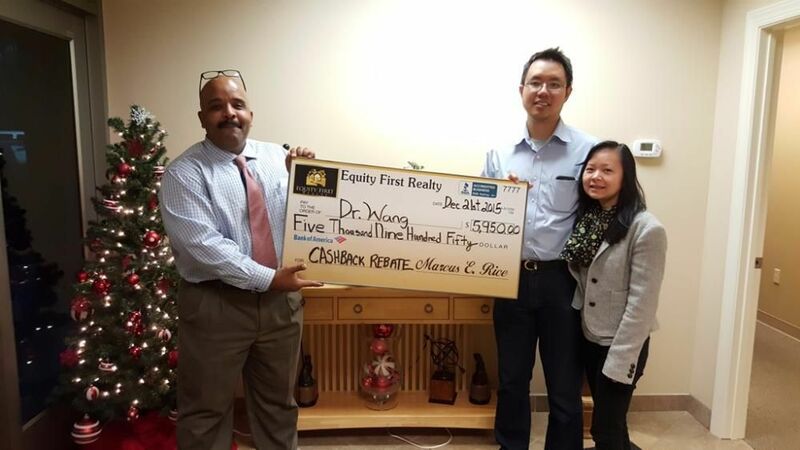 Equity First Realty® also loves working with first-time buyers! You can search the entire local MLS without any obligation or just let us know what you are looking for and Equity First Realty® will do the rest! 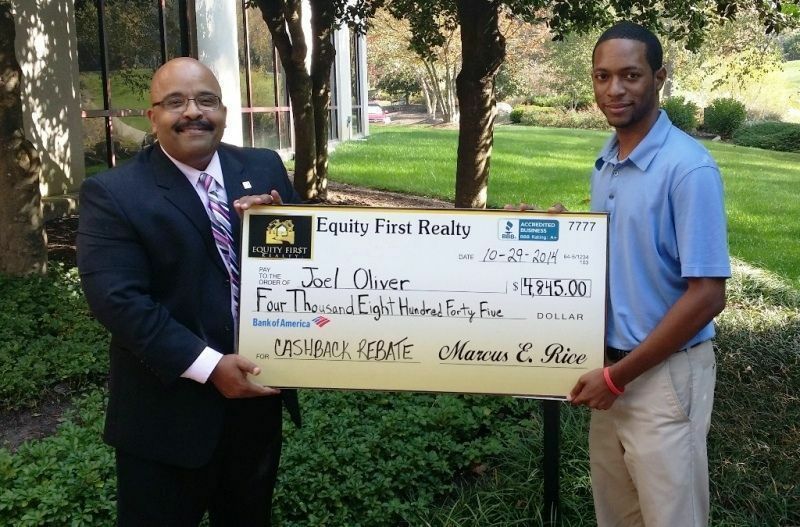 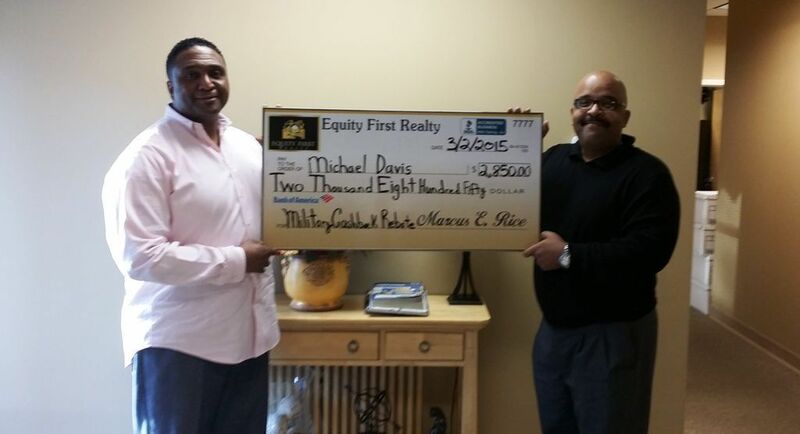 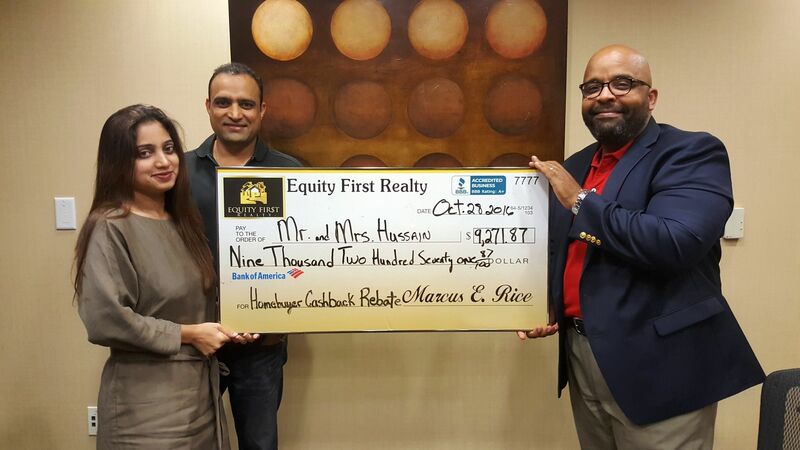 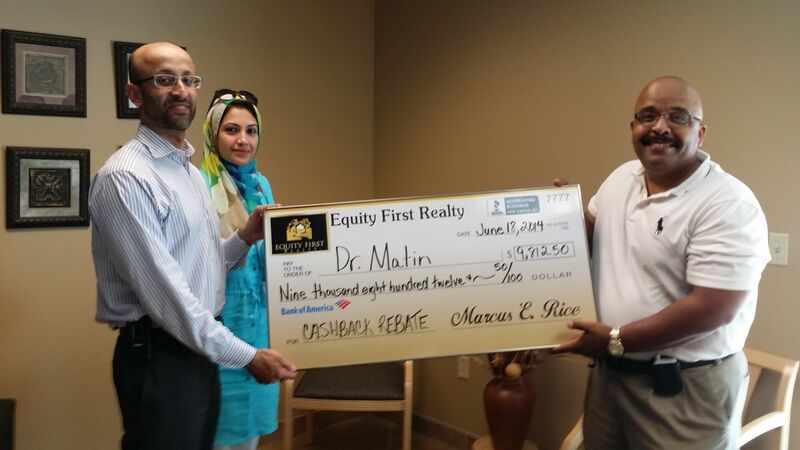 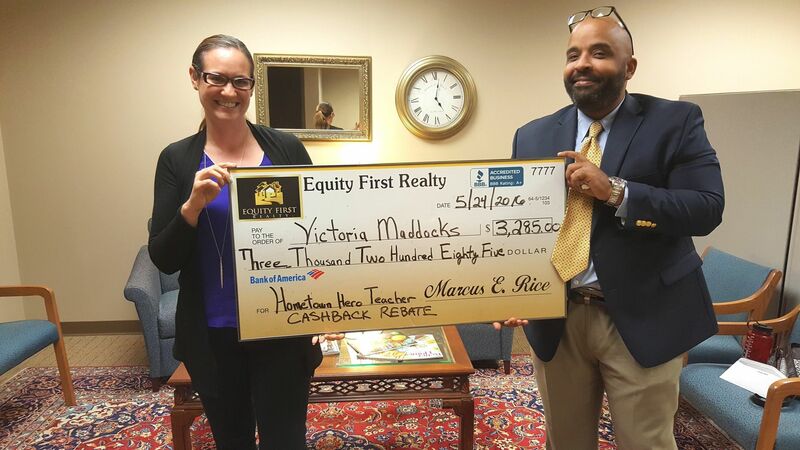 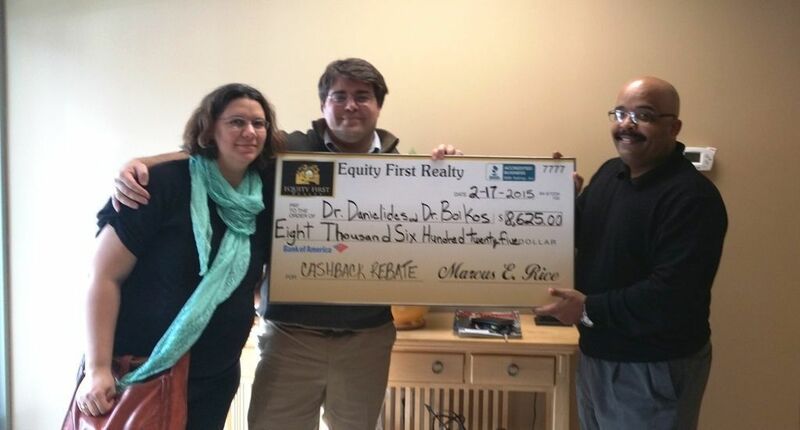 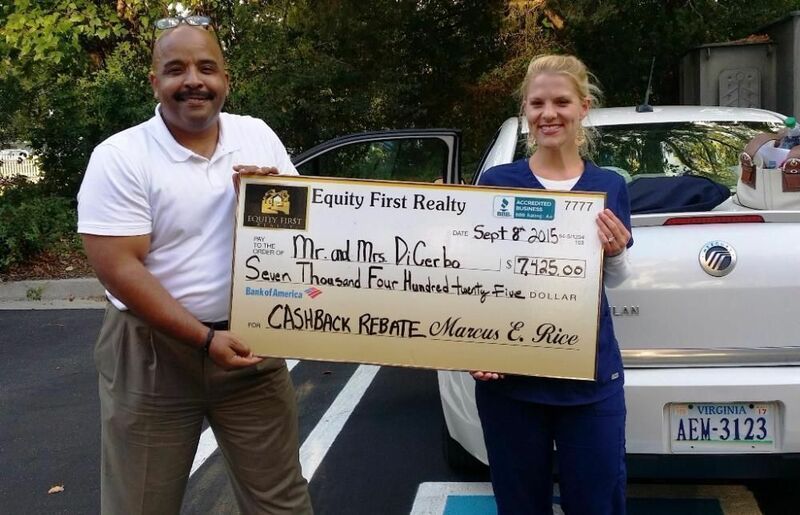 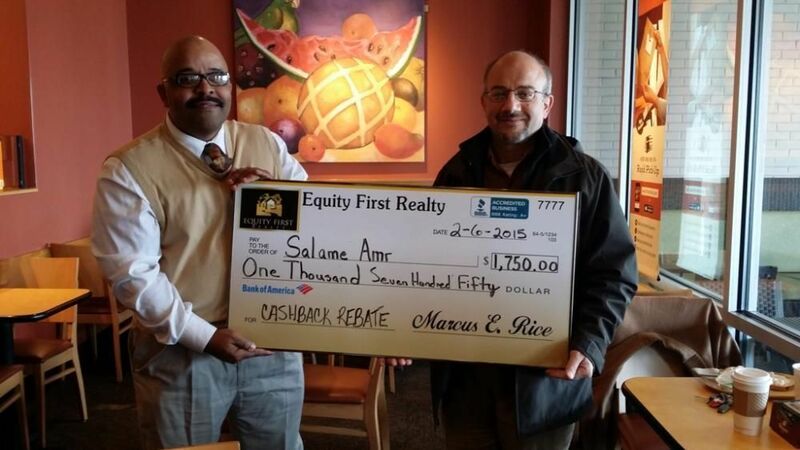 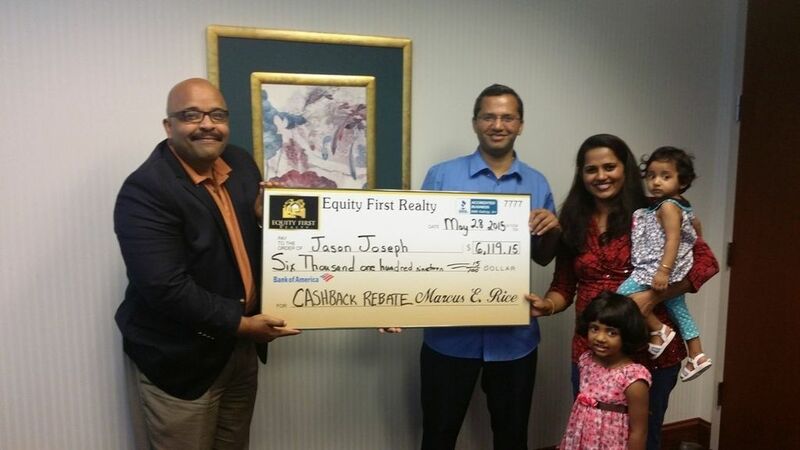 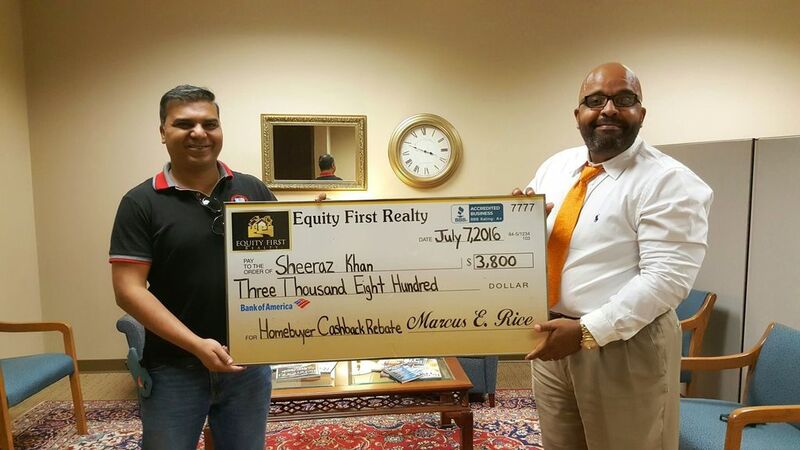 Equity First Realty® is made up of people, and people buy homes. We’re not just experienced real estate professionals in the Chesterfield, Henrico, Powhatan, Richmond, Chester, and Glen Allen real estate markets, we’re home buyers too. 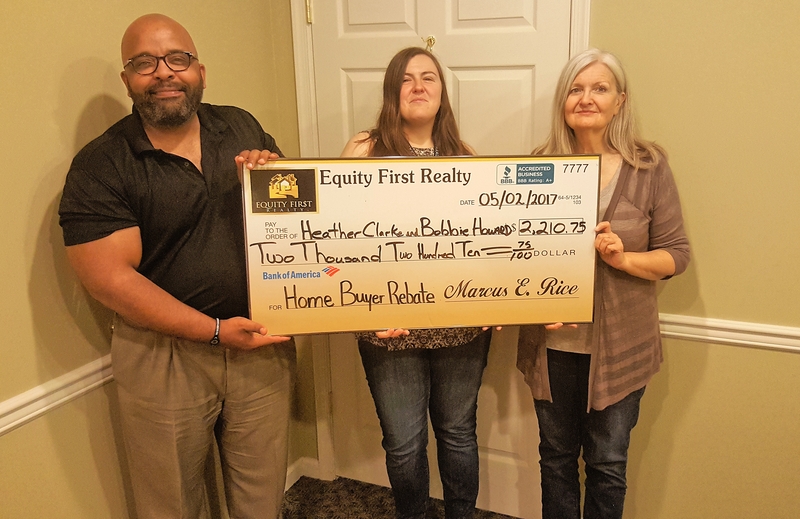 It takes more than a trained real estate agent to understand the needs and concerns of buyer clients. 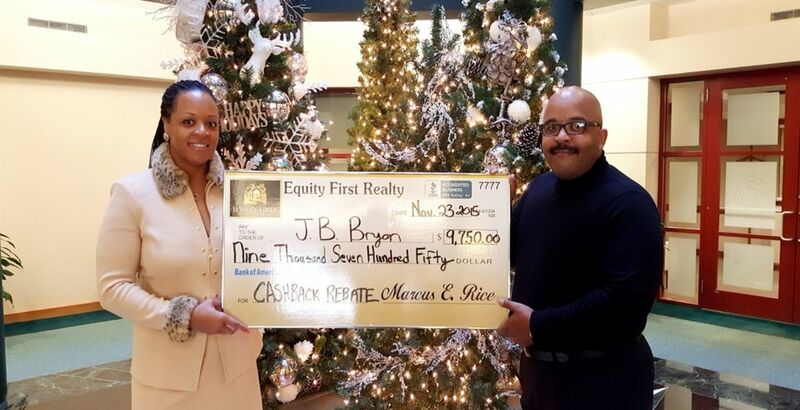 It takes someone who has been there, someone who has the same concerns when they’re home shopping. 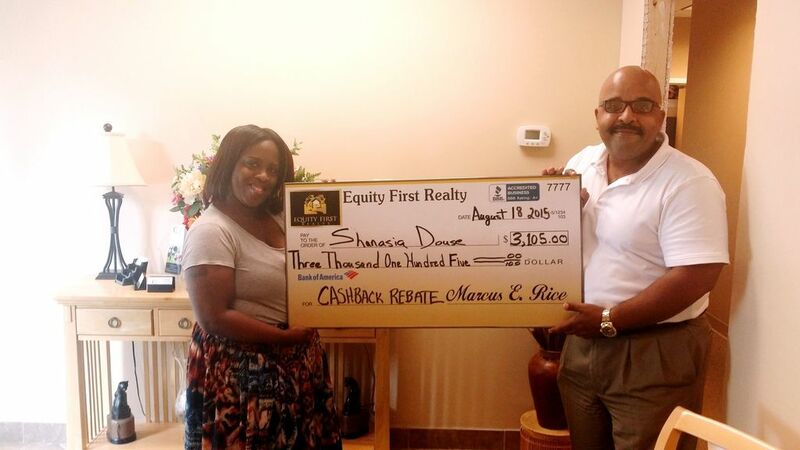 We don’t want to minimize the technical aspects of the home buying process though. 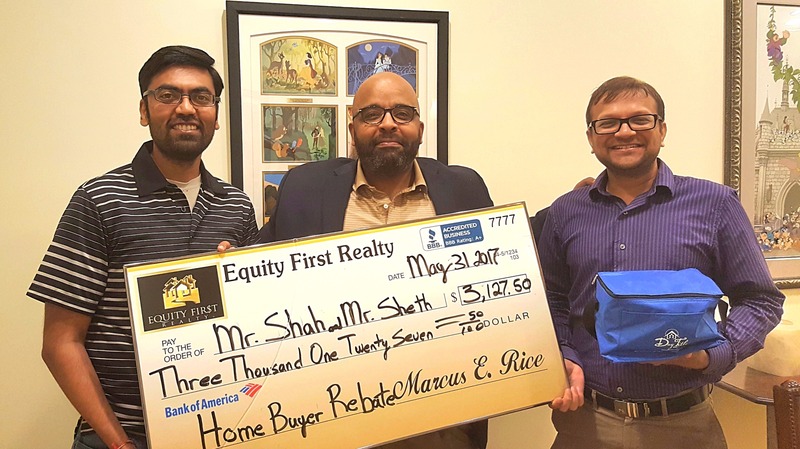 Every year it becomes more complex. Between government legislation, environmental laws, mortgage documentation requirements and the legal aspects of a home purchase, the homebuyer must be on top of all aspects of the process or be helped by a professional. 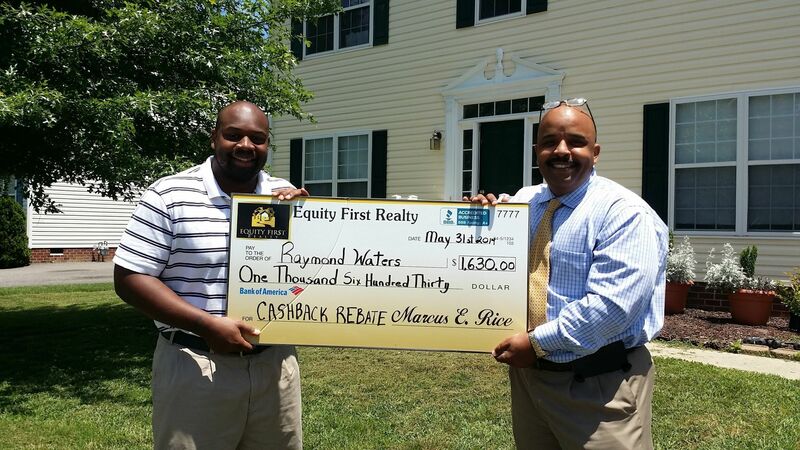 See our example page to see how much you can save and research our Buyer Rebates FAQs page.